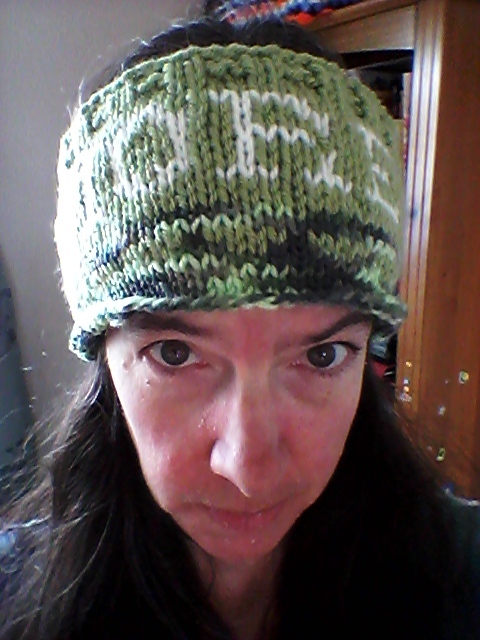 Designed this headband to state the knitter’s mantra: ONE MORE ROW, ONE MORE ROW. After years of converting (mostly) to crochet, I am back in love with knitting thanks to getting to grips with stranding. I will outline the pattern and add the lettering chart to it next week. Using 5 mm circular needle – quite a short one (16″?) – cast on 80 stitches. Join without twisting and begin to knit in the round. I did about 9 rounds with a heavy DK yarn just to get the hang of it. I switched to a chunky but an aran/worsted is fine. I did two rounds knit before starting the chart. Spread the letters around the whole circumference using an alphabet from a cross-stitch book and knit them with an aran, stranding loosely across the back. Letters took 7 rounds then 2 more rounds plain knitting. K2, P2 around for 3 more rounds and cast off in rib. Will be great to see what other slogans will fit into 80 stitches – with spaces and a headband great for keeping hair out the way when knitting. 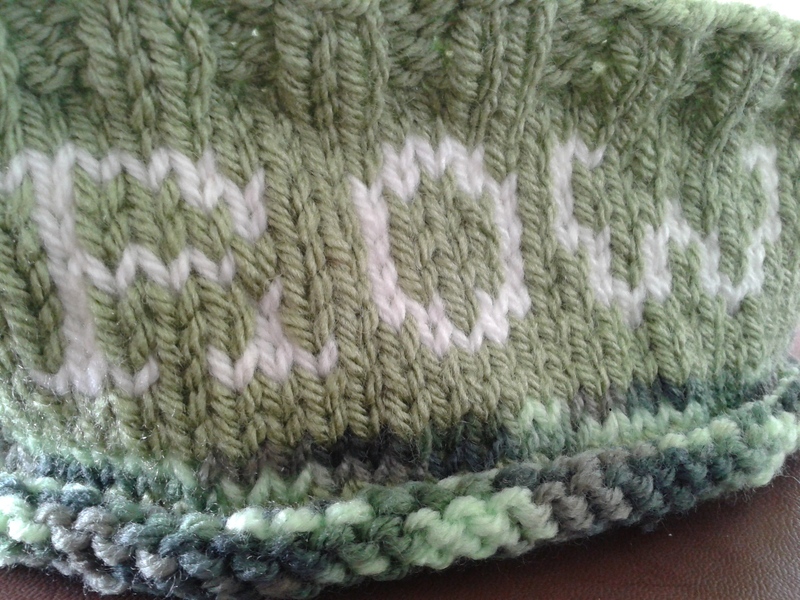 If I can get to grips with decreasing and DPNS my next design will be a hat.